Odd Job Plumbing Services | Odd Job Handyman Services, Inc. Odd Job Professional Handyman Services is here to fulfill your plumbing services needs. From minor issues and major fixes we can help you when you need it most. We’ll help you repair and replace many of the fixtures in your kitchen or bathroom. We make it right the first time and because we are a full service company we can tackle the rest of that to-do list at the same time. Fixtures – Our plumbing services can replace or repair those old dated plumbing fixtures through out your home. We can replace most kitchen spray wands, faucets, sinks, shower heads, and repair many faucets, and unclog your slow drains. Toilets – Our experts will diagnose and repair your leaking and running toilets no matter the brand. Or maybe it is time to replace it completely and upgrade to one of those dual flush or low flow toilets. Odd Job will remove and install the new one in a few hours. Pipe Insulating – Save your self the frustrations of frozen pipes and costly repairs when the pipes burst. Insulate pipes and save time, money and feel peace of mind. 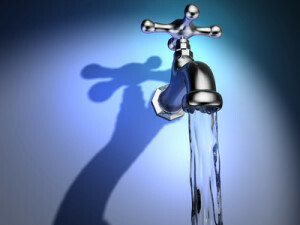 Plumbing Leaks – Leaks can be a source of great frustration and are not always that easy to find. Odd Job’s plumbing services will work with you to find that pesky pile leak, stop it and then our full service team can even patch any drywall if needed. Book our team today and watch your plumbing troubles go down the drain! Pingback: Hire a Handyman or a Contractor? | Odd Job Handyman Services, Inc.